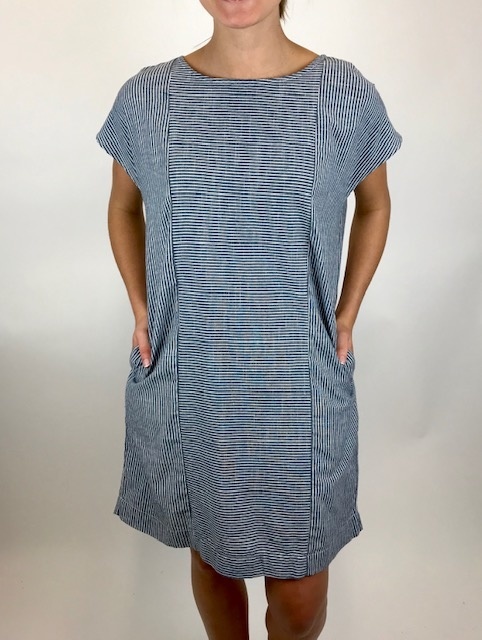 A linen feel dress with a cap sleeve and a shift like fit. This piece has a denim blue background with white stripes going up and down. 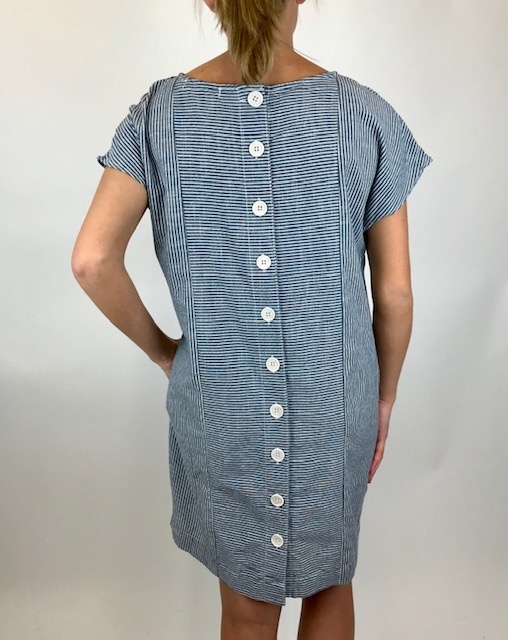 It also has pockets and fun back button detail. Add sandals in the spring too!